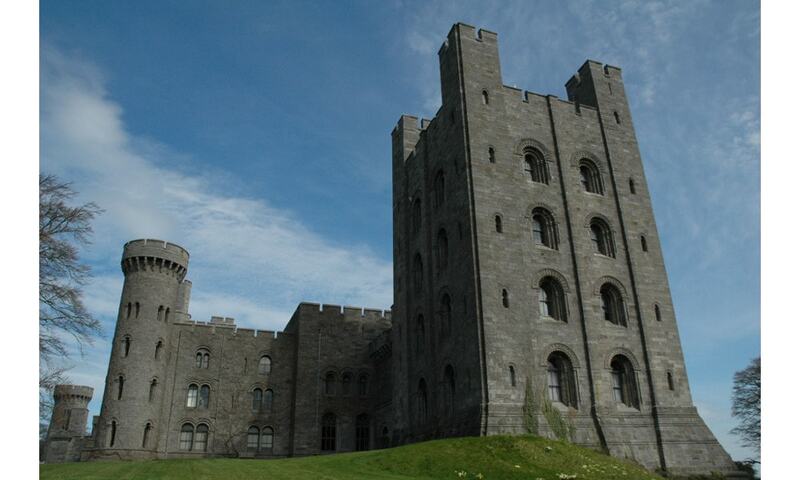 Penrhyn Castle is a country house in the form of a Norman castle. It was originally a medieval fortified manor house, founded by Ednyfed Fychan. In 1438, Ioan ap Gruffudd was granted a licence to crenellate and he founded the stone castle and added a tower house. Samuel Wyatt reconstructed the property in the 1780s. It now belongs to the National Trust and is open to the public.